We greet all of our patients with a warm welcome. 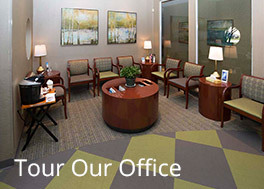 We have been providing the Jacksonville community with friendly and effective periodontal care since 1989. 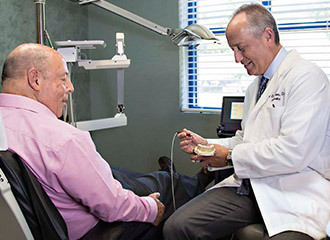 Dr. Gary Perlman is a highly skilled and experienced periodontist (expert in gum treatment and dental implants) who utilizes both non-surgical and surgical procedures to treat your gums. For those who are missing teeth, Dr. Perlman provides full dental implant services to restore function to your teeth and beauty to your smile. 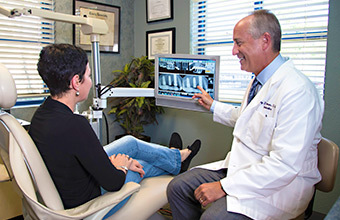 Dr. Perlman’s patients often comment about his gentle approach and reassuring bedside manner. He will always take the time to listen to your concerns, thoroughly explain treatment options and procedures, and answer all of your questions in an easy to understand fashion. Dr. Perlman uses the latest in dental technology to give you the best treatment possible. 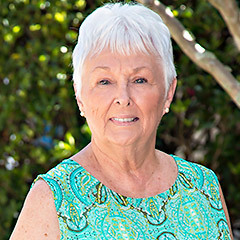 Our staff of highly trained and experience professionals is committed to providing you with the personal care and attention needed to ensure your treatment is comfortable and stress-free. We incorporate the latest technological advances in periodontics to prevent, diagnose and treat gum disease, place dental implants and perform bone and soft tissue grafting procedures. 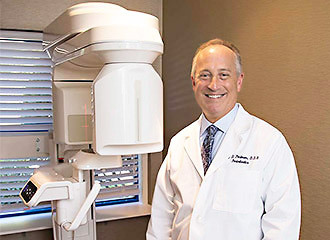 Dr. Perlman uses a highly advanced laser system to treat gum disease and his hygienists employ ultrasonic scalers and prophy jets for thorough yet gentle cleanings. 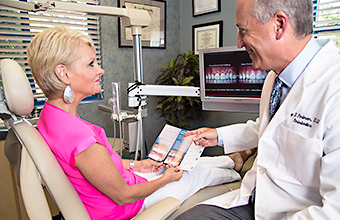 A state-of-the-art imaging system provides Dr. Perlman with 3D images of your entire jaw bone to precisely plan your dental implant or bone graft procedures. Learn more about our State-of-the-art Technology here. Dental Implants may be a great solution to improving your smile. 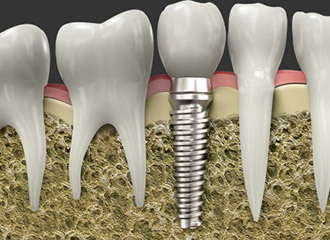 Dental implants are the modern gold standard of tooth replacement. Dr. Perlman is a highly skilled and experienced specialist in the placement of dental implants, having placed nearly 3000 implants in his career. Dr. Perlman pre-plans the placement of your dental implants, using our CT scanner to produce detailed 3D images of your teeth, gums and jawbone. These images allows Dr. Perlman to create surgical guides that help him place your implants quickly and with no or minimal incisions. Learn more about Dental Implant Treatment here. Dr. Perlman provides all the high-quality periodontal services and treatments you need. Dr. Perlman employs minimally invasive procedures to treat gum disease and receding gums without the need for cutting or sutures. These revolutionary procedures help to strengthen gum tissue, protect bone structure and save teeth. Dr. Perlman utilizes the LANAP® dental laser to treat gum disease by targeting bacteria and diseased tissue without harming surrounding healthy tissue. The use of the laser in treating gum disease is more efficient and more comfortable, with less post-treatment discomfort and fast recovery. Learn more about LANAP Laser Gum Disease Treatment here. Dr. Perlman is one of the pioneering practitioners in the innovative Chao Pinhole® Surgical Technique for the treatment of receding gums. Using specialized tools, Dr. Perlman is able to repair the recession without cutting the gum or performing gum grafts. 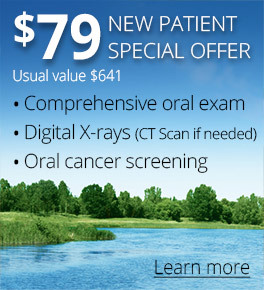 The entire mouth can be treated in just one visit. Learn more about Pinhole Surgical Technique here.